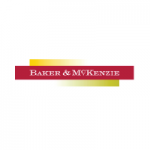 At Baker & McKenzie, our derivatives team advises a broad spectrum of market participants and users of derivatives on the regulation, documentation and compliance of futures, swaps, options, forwards and other financial products. With respect to both strategic and day-to-day issues, we counsel U.S. and non-U.S. exchanges, proprietary traders, futures commission merchants, introducing brokers, commodity pool operators, commodity trading advisors, swap dealers and corporate end-users, including some of the largest companies in the world. Our keen understanding of the derivatives and physical markets makes us uniquely positioned to help clients respond to the convergence of these markets brought about by the Dodd-Frank Act. Based upon the diverse skill set of our lawyers, we are qualified to provide holistic solutions involving regulatory, transactional and enforcement matters. Funkhouser Vegosen Liebman & Dunn Ltd.
Funkhouser Vegosen Liebman & Dunn, Ltd. (“FVLD”), is a Chicago based law firm with attorneys possessing decades of experience advising futures commission merchants, introducing brokers, pool operators, trading advisors and others in the commodity futures and financial services space on a broad range of issues, including: registrations and compliance, exchange memberships, fund formation, managed accounts, private placements, cybersecurity, mergers and acquisitions, margin financing and credit facilities; as well as advocacy in litigation matters, arbitrations, regulatory investigations and disciplinary proceedings. At FVLD we are passionate about providing our clients with the legal leverage and hedging opportunities they need to sustain and grow their businesses in a quickly changing regulatory and economic environment. Address: 77 West Wacker Dr.
Kennyhertz Perry advises clients on a wide range of commodities and derivatives regulatory matters. The roots of the practice are in the commodities markets, where Kennyhertz Perry partner Braden Perry spent time as a Senior Trial Attorney with the U.S. Commodity Futures Trading Commission (CFTC). The Kennyhertz Perry lawyers regularly advise our clients on compliance with the complex laws and regulations governing the securities and derivatives industries, including the Commodity Futures Modernization Act of 2000, the Commodity Exchange Act, the Gramm-Leach-Bliley Act, the Securities Acts of 1933 and 1934, the Investment Company Act of 1940, the Investment Advisers Act of 1940, the SEC and CFTC regulations, the rules of the various derivatives exchanges and clearinghouses and other industry self-regulatory organizations and blue sky state securities laws. Keeping abreast of regulatory developments is imperative, and enables our lawyers to guide clients on comment-making about proposed legislation and regulation, provide ongoing IB, CTA, CPO, FCM, and RFED operational and compliance counseling, and offer advice on appropriate modifications of transaction structure and documentation. The Ruddy Law Office, PLLC ("Ruddy Law") is a Washington, DC based boutique law firm that provides legal advice to registered investment advisers, commodity futures registrants (IBs, FCMs, CPOs, and CTAs), hedge funds and other members of the alternative investment community. Ruddy Law assists clients with initial and ongoing regulatory needs association with the National Futures Association ("NFA"), Commodity Futures Trading Commission ("CFTC"), Securities and Exchange Commission ("SEC"), Federal Energy Regulatory Commission ("FERC"), as well as other federal and state regulatory agencies. We have proudly offered these services since our inception in 2001. In order to remain strong and unified, each of us must do our part.